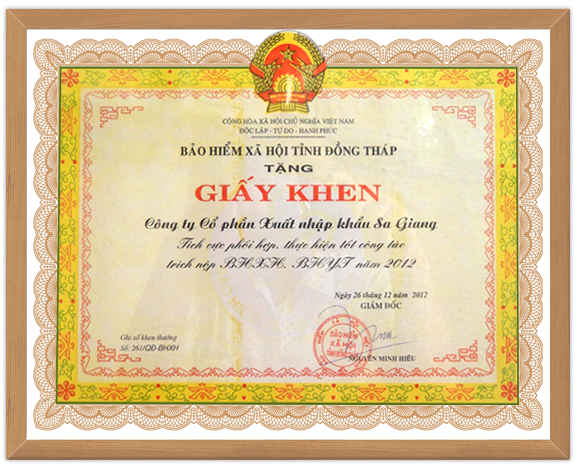 Sa Giang Shrimp Chips factory are formed and built in 1960 and operated continuously until the day of liberation of the Southern Viet Nam in 1975. 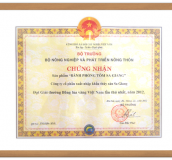 With a capacity of 200 tons/year, Sa Giang Shrimp Chips has been renowned in the market for a long time. 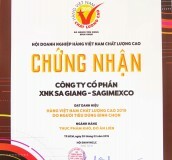 In 1970, the brand name of Sa Giang Shrimp Chips gained silver medals at OSAKA fair – Japan. 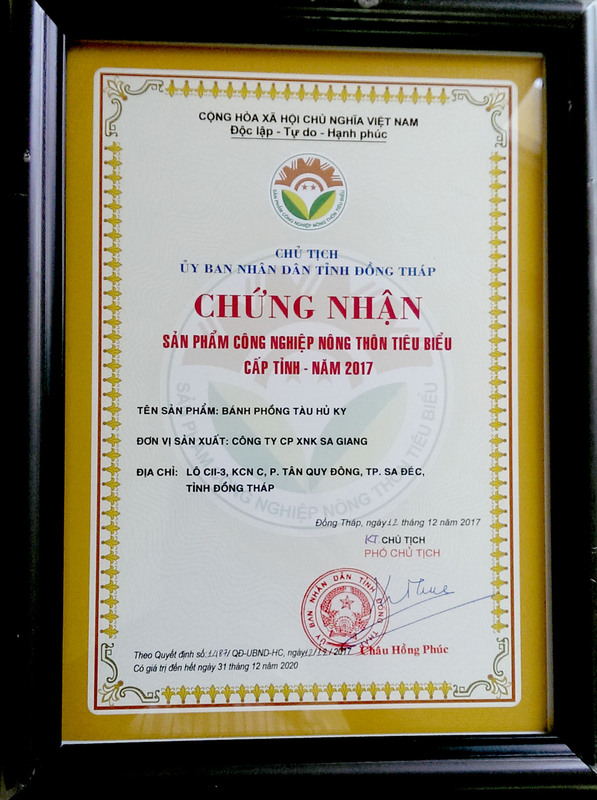 At that time, France was the main export market and before 1975, Sa Giang Shrimp Chips brand name was already enjoyed by domestic customers. 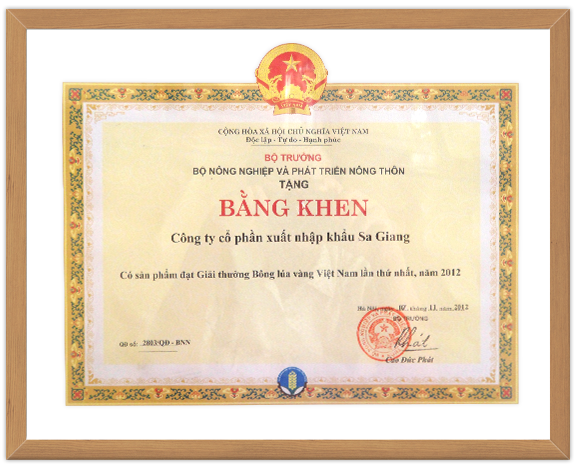 In 8th Dec 1992, People Committee of Dong Thap decided to establish Sagiang Import Export Company as State Enterprise. 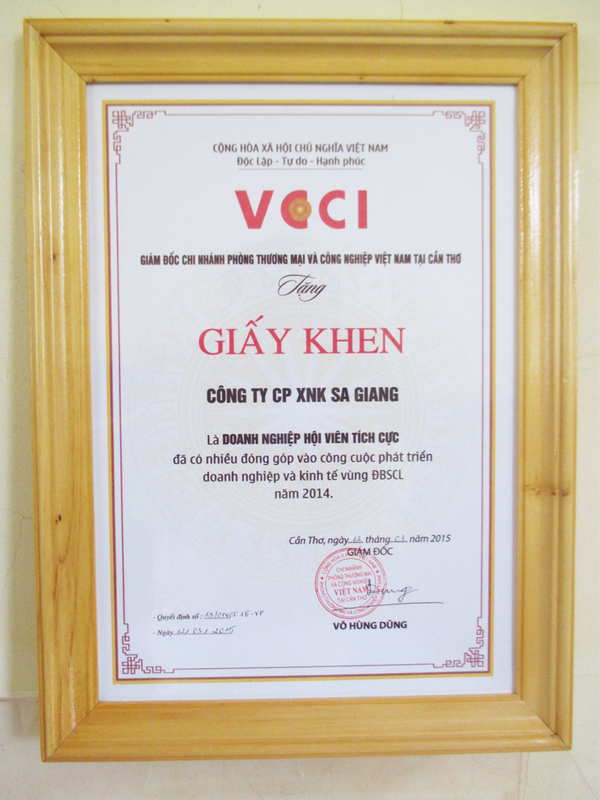 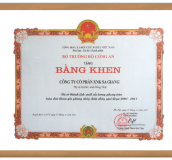 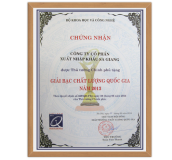 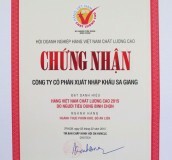 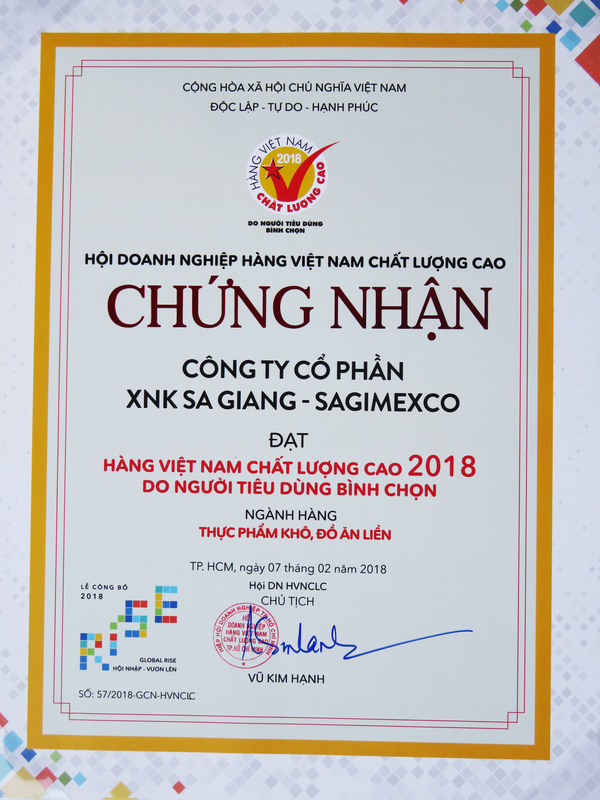 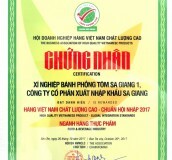 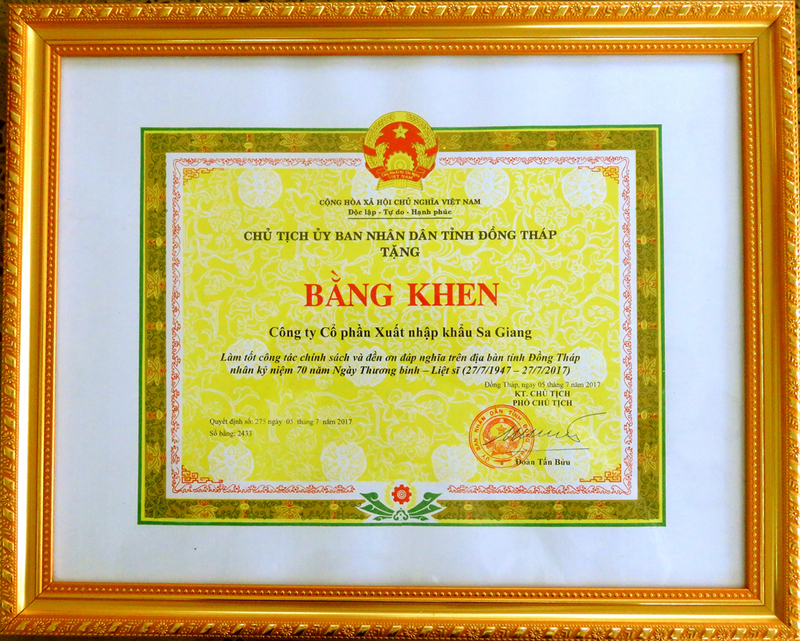 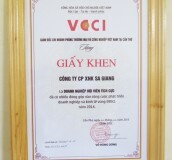 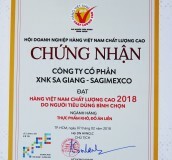 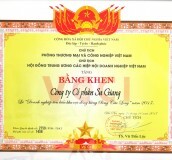 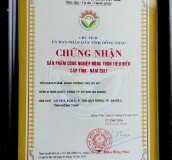 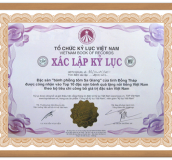 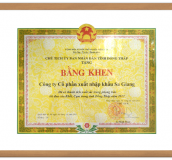 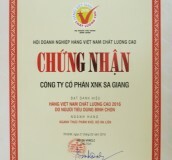 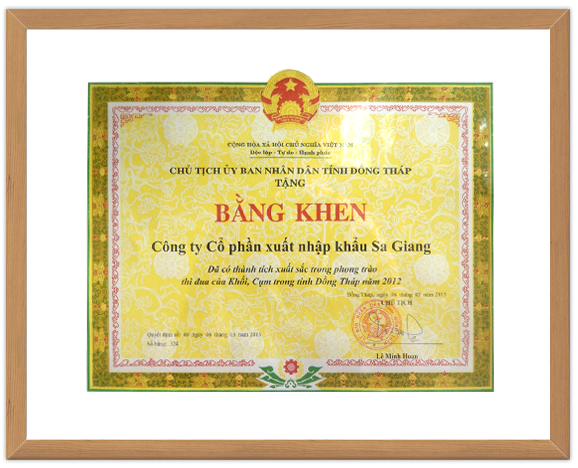 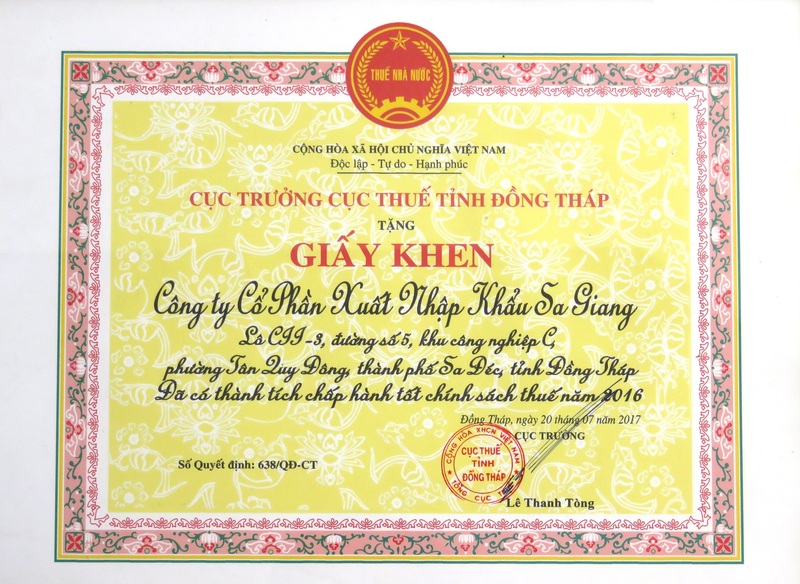 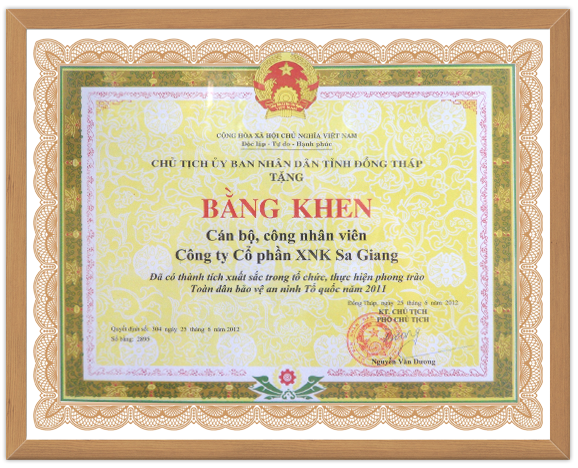 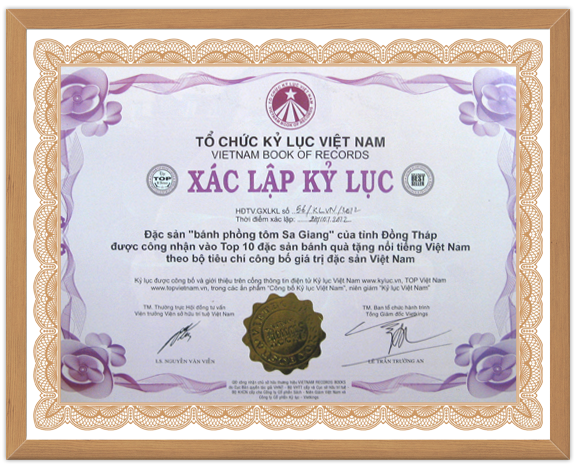 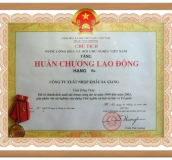 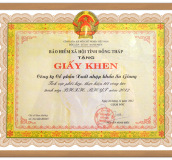 At this time, applying HACCP in processing food is very new and strange to country in generally and Sa Giang in particularly; but with strong effort, Sa Giang has applied successfully the quality management under HACCP, in order to satisfy the strict regulations of Europe about condition of food hygiene and safety to countries which want to export goods into Europe market. 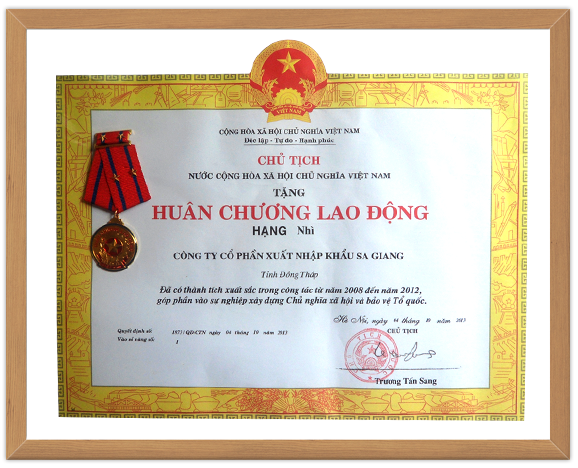 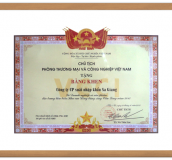 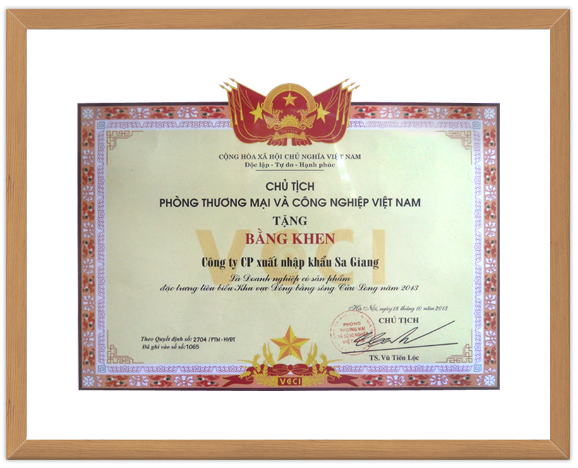 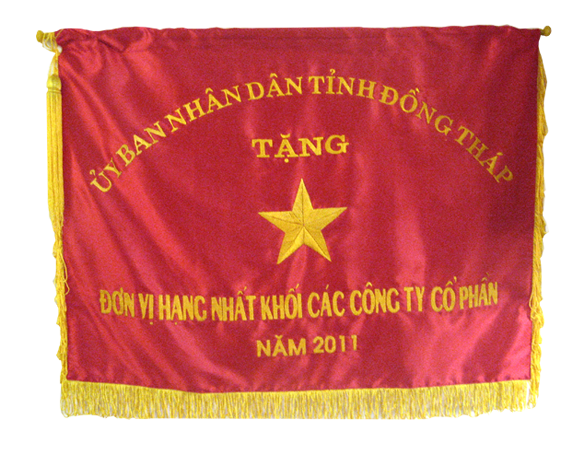 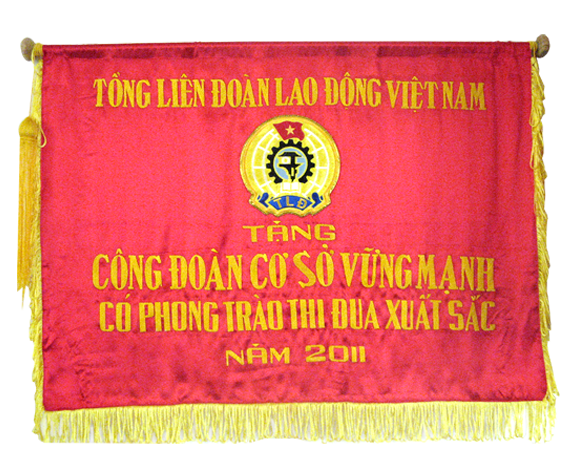 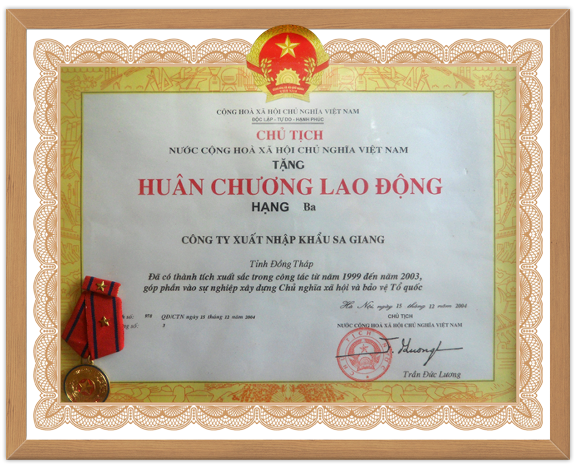 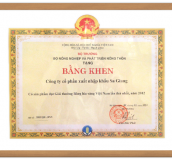 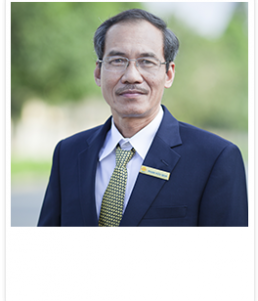 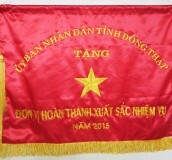 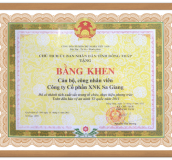 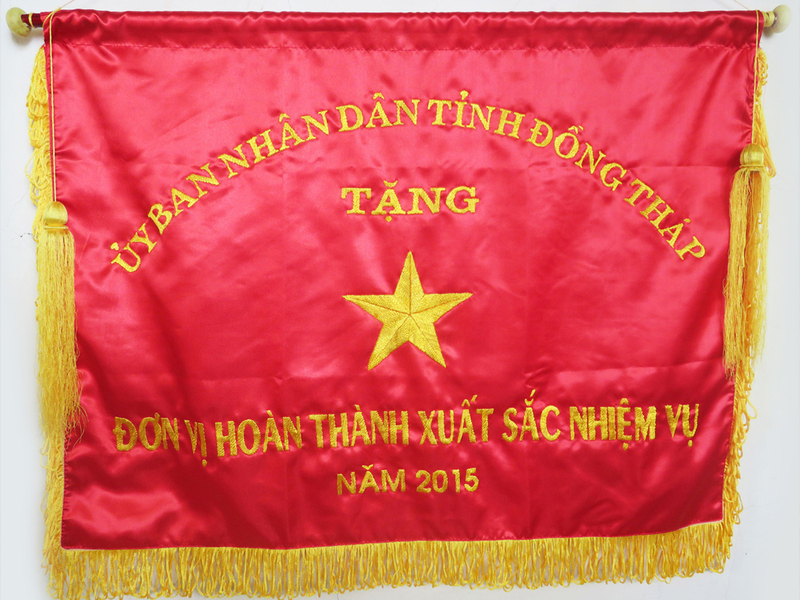 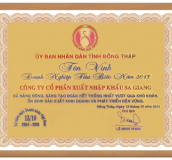 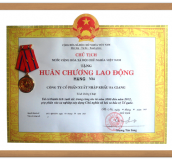 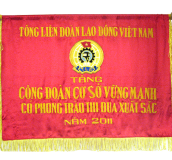 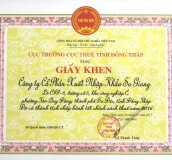 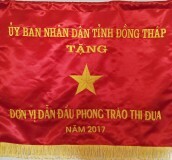 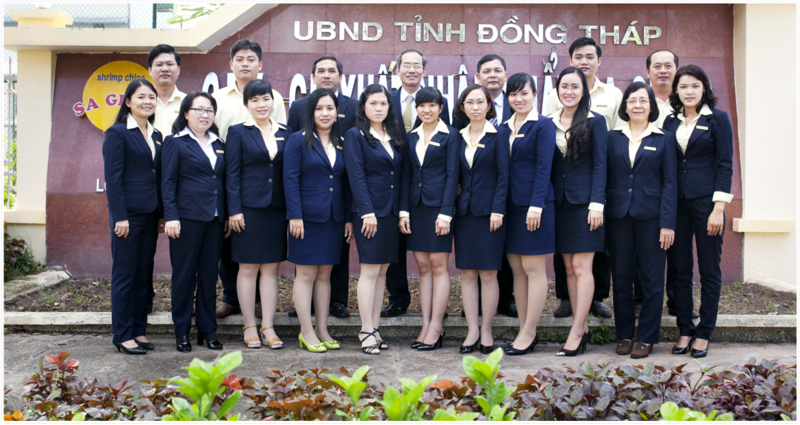 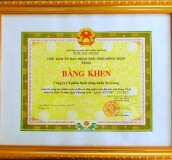 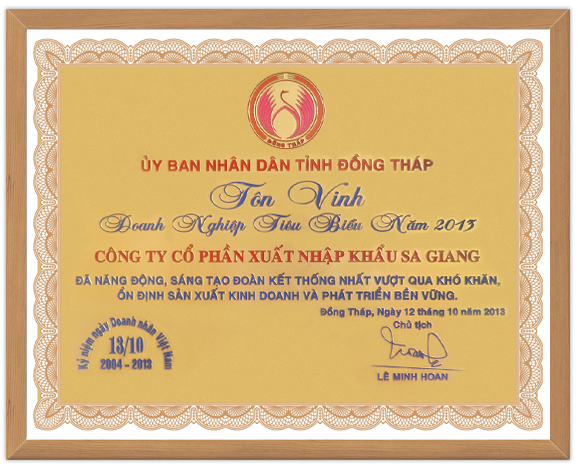 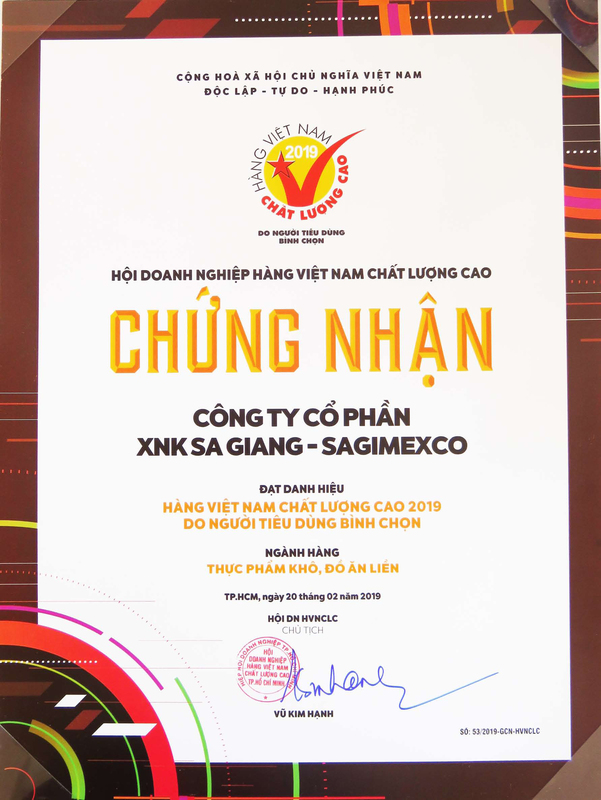 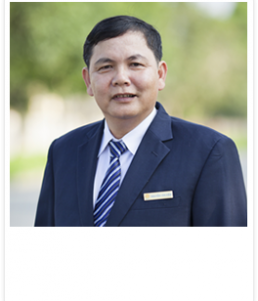 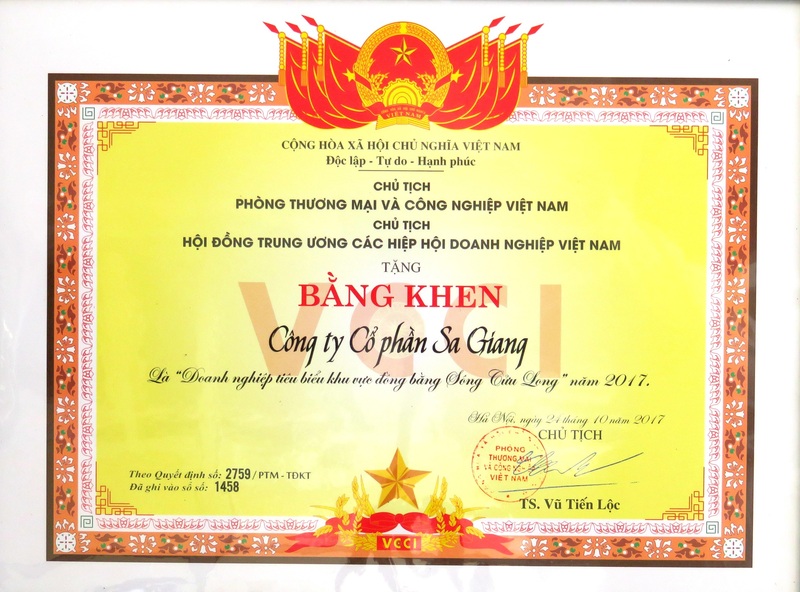 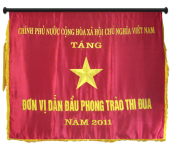 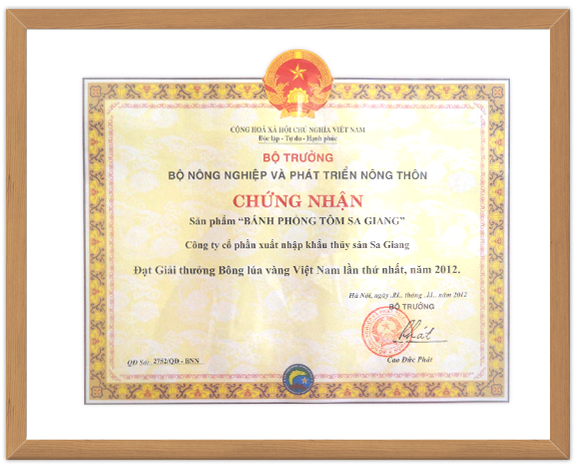 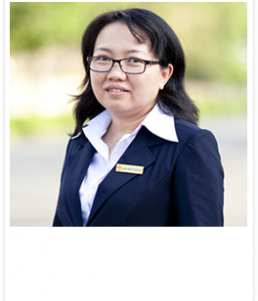 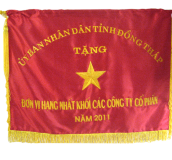 In July 1997, Sa Giang became one of first 18 enterprises of Viet Nam was issued CODE to export goods to Europe market. 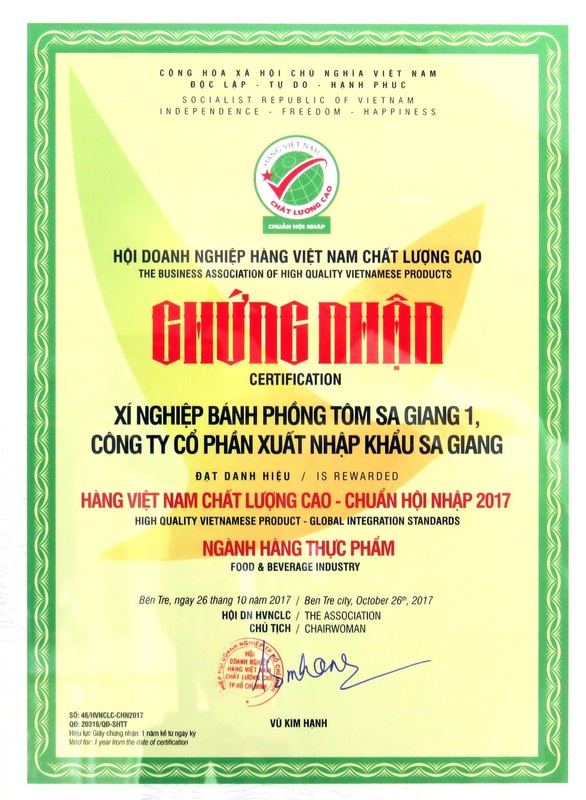 Our long-term goal is producing and supplying high quality products in accordance with requirements of users, ensuring food safety. 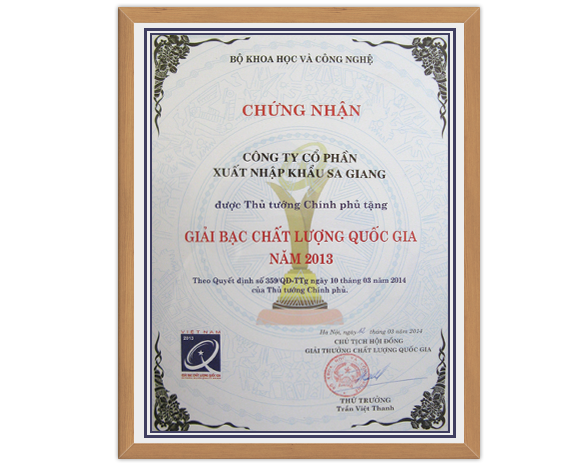 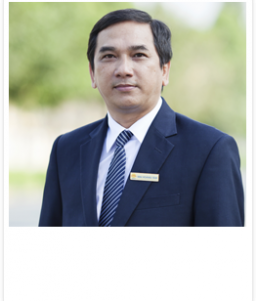 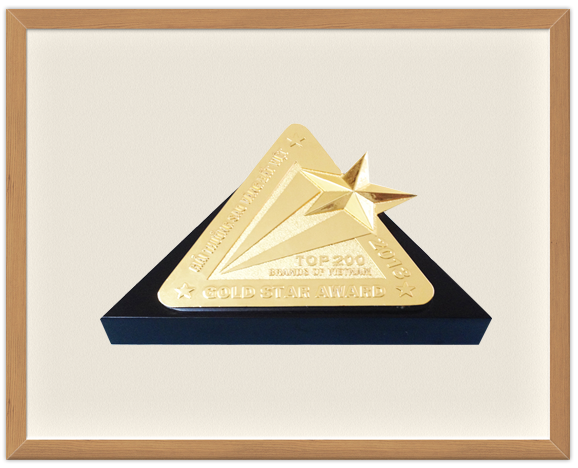 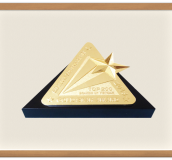 We try to solve problems of quality arise within the company quickly and efficiently. 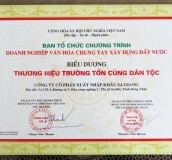 Successful operation of the company based on the cooperation and active participation by all members. 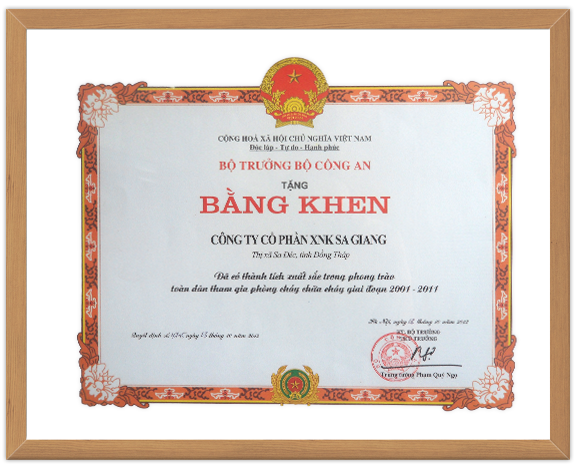 Commitment to quality will ensure the continued success of the company as well as meet the requirements of customers. 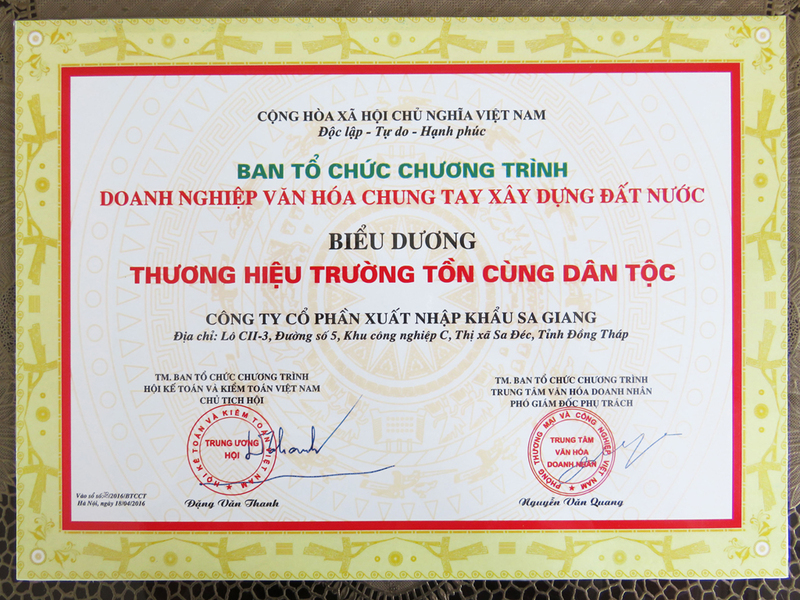 Our vision is to become the food processing enterprises are trusted with the mission to bring health to consumers. 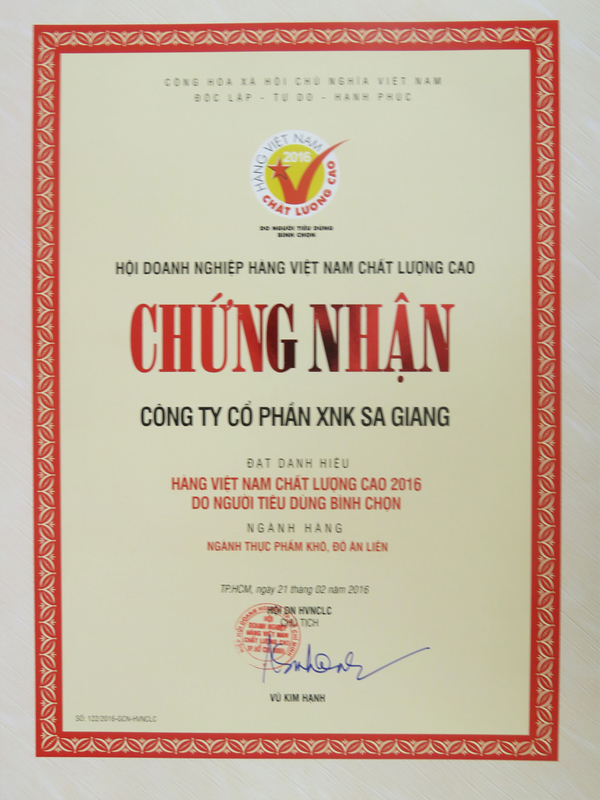 Our goal is to become the leading food processing company of the Province and be in the top 10 food processing company in Vietnam. 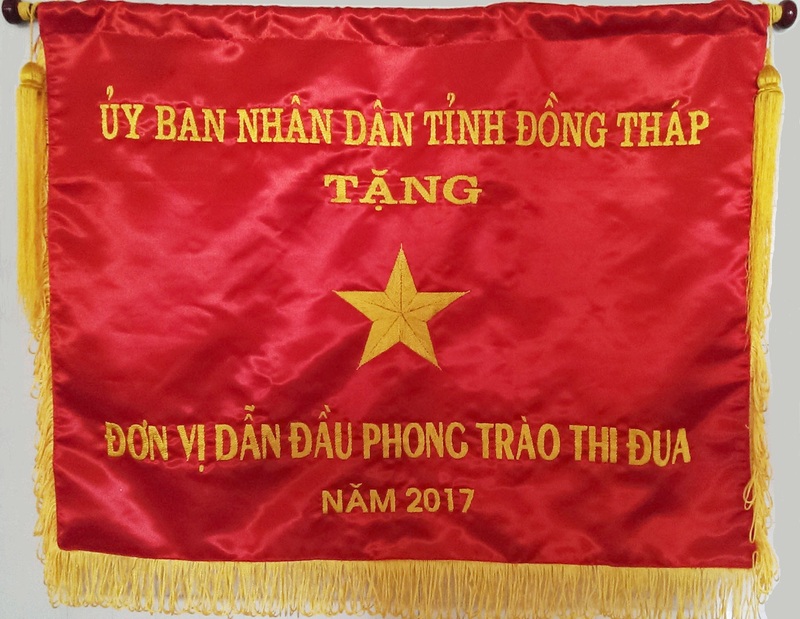 Address: NO. 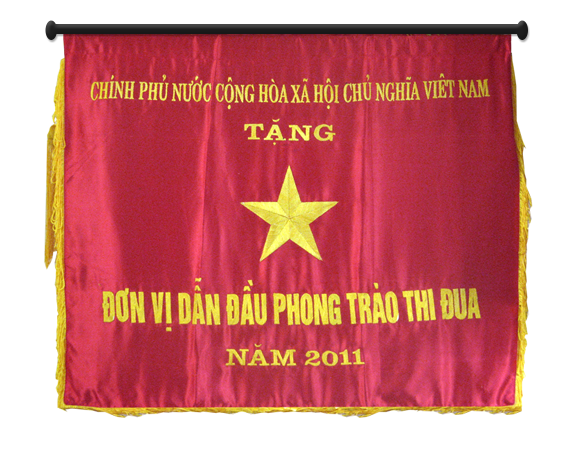 483, TEN LUA, BINH TRI DONG B WARD, BINH TAN DISTRICT, HO CHI MINH CITY.